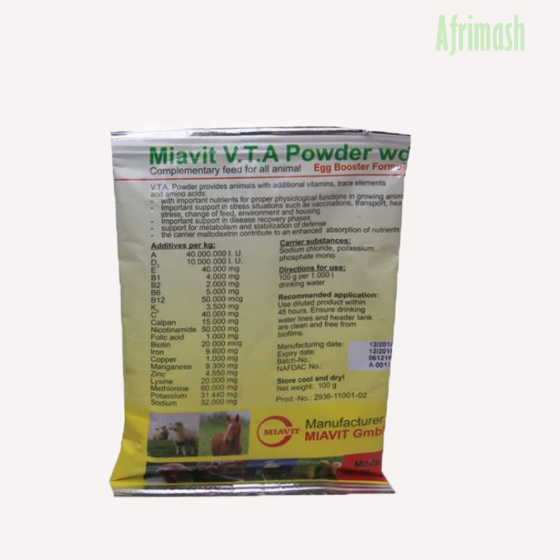 Miavit multivitamin contains multiple micronutrients, such as vitamins and dietary minerals essential for optimum production in poultry birds. It promotes healthy growth & combats stress due to extreme temperatures, overcrowding & transportation. 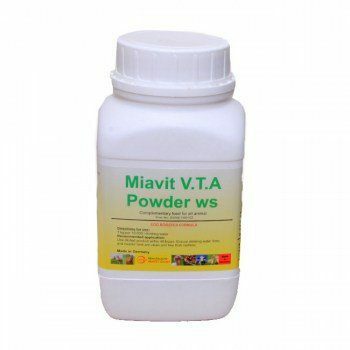 It contains vitamin c which is particularly good for supporting birds during stressful conditions like vaccination, transport etc.